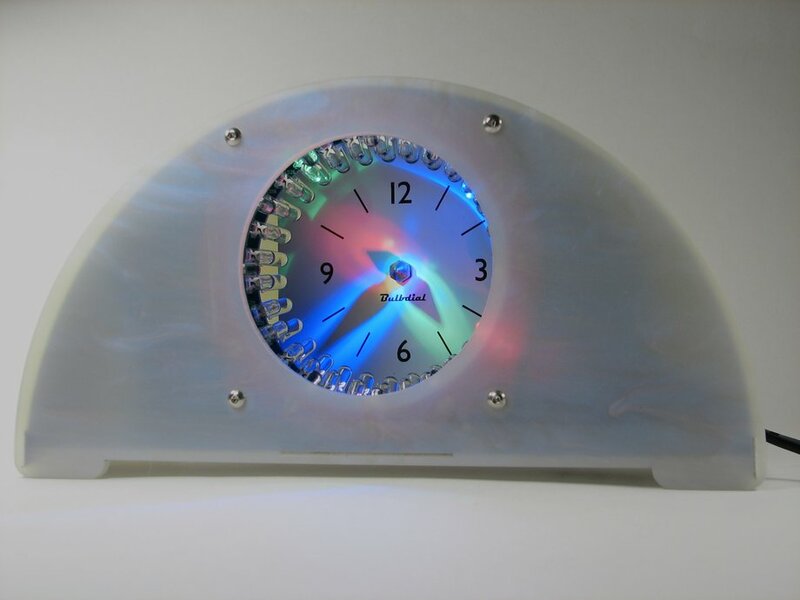 The Bulbdial Clock kit is based on an original design concept from IronicSans.com and developed at Evil Mad Scientist Laboratories. It works like an indoor sundial, but with three shadows of different length. You tell the time just like you do on a normal clock, by reading the positions of the hour, minute, and second hands. The basic Bulbdial clock kit ($65) comes complete with three custom circuit boards, 72 ultrabright LEDs, pre-programmed ATmega328p microcontroller with Arduino bootloader, tactile button switches, aluminum standoffs, 20 ppm quartz crystal, custom clock face, gnomon spike, universal-input plug-in power supply, stainless mounting hardware, plus the resistors, capacitors and other little parts needed to build the Bulbdial clock. There are several configuration options, for LED style, Case style, and optional Chronodot. This kit comes with 12 red, 30 green, and 30 blue LEDs, marking hours, minutes, and seconds. The colors provide contrast and tend to mix in interesting ways. We also make a version with 72 white LEDs, for simple elegance at the cost of some contrast. 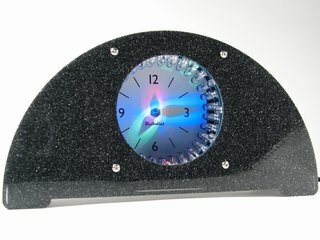 The Bulbdial clock is designed to be mounted in a handsome, laser-cut acrylic case ($20) that makes it suitable for desk or mantle use. Cases come in Abalone Pearl, Black back/Smoke front or Black back/Clear front. The case is 8.75" wide, 4.6" tall, and just over 2" deep. Cases are also available separately. 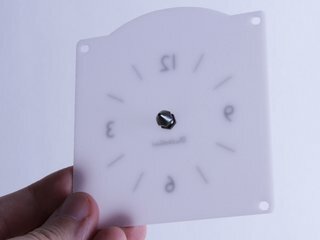 The Bulbdial Clock Kit is designed to be used with either an opaque clock face in the back, included with every kit, or with a translucent clock face for rear projection. 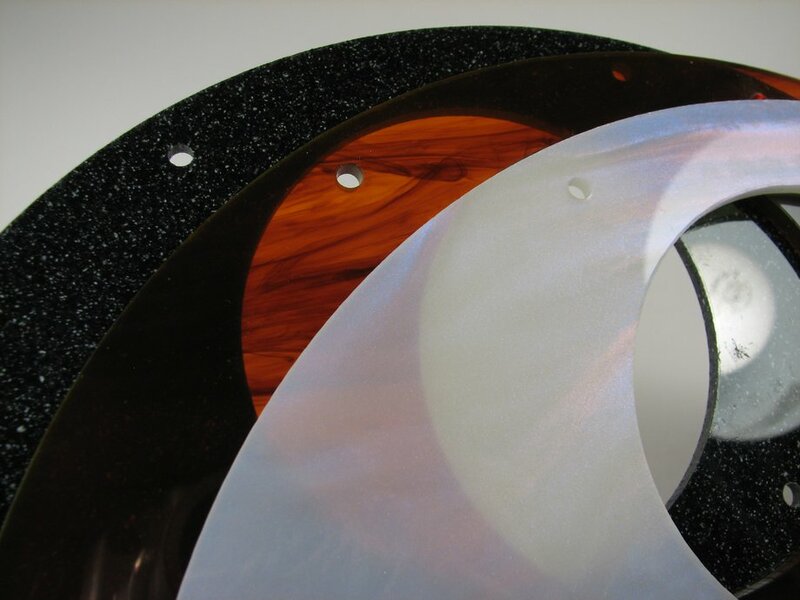 The rear projection clock face is made of translucent textured diffusing acrylic. It is laser-cut to shape and screen printed on one side. 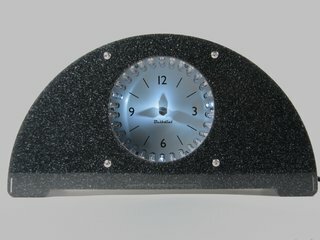 The rear-projection clock face is also available separately. 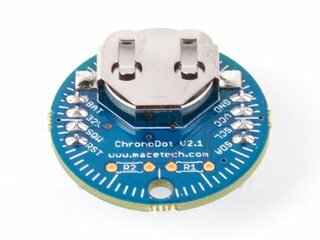 You may also be interested in the FTDI Friend, which provides an optional interface between your computer and your Bulbdial clock. It can be used (1) to sync the Bulbdial's time to the time on your PC, (2) to reprogram the Bulbdial clock through the Arduino IDE, or (3) to make the Bulbdial clock into a USB powered Bulbdial clock. 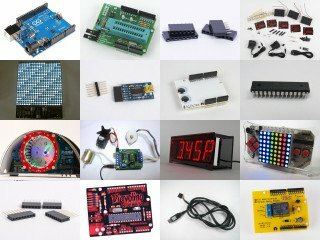 Note, however, that these are entirely optional operations-- no programming is needed to build or use the Bulbdial clock kit! 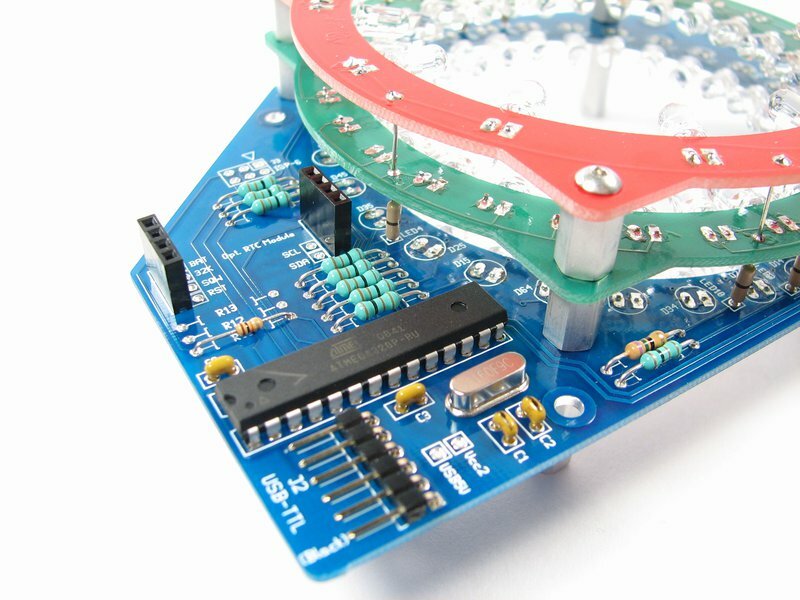 The Bulbdial Clock is sold as a soldering kit [?]. 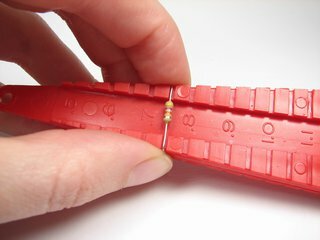 Basic electronic soldering skill is required, and you provide basic soldering tools: a soldering iron + solder and small wire clippers. You will also need internet access to read or download our detailed assembly guide. No additional knowledge of electronics is presumed or required. Easy "through-hole" construction and clear, photo-heavy instructions are provided. Assembly time: 1-3 hours, depending on your level of experience with soldering. 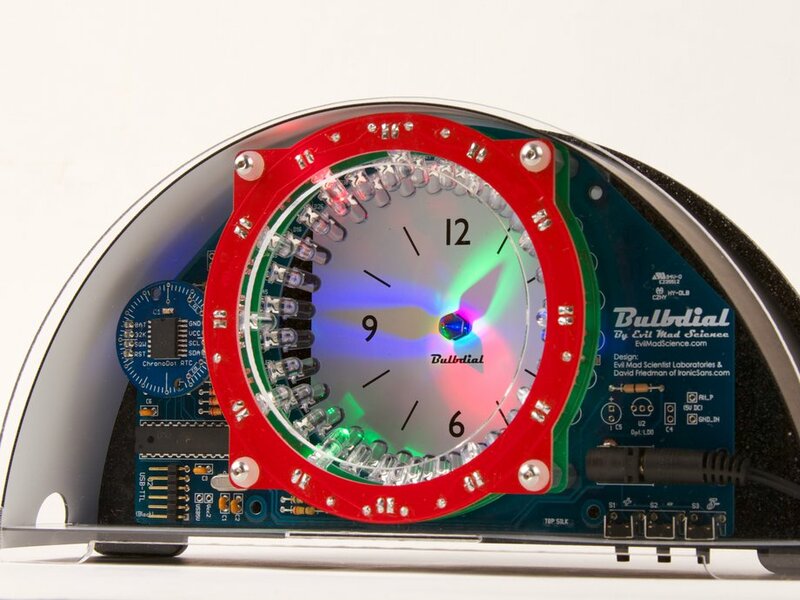 The Bulbdial clock kit is open-source in both hardware and software, and is designed to be user friendly and hacker friendly. The on-board microcontroller is an ATmega328p, running a program atop the Arduino bootloader. 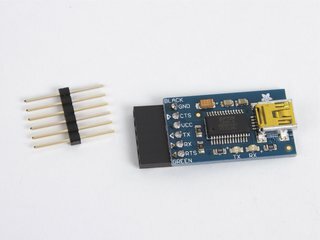 FTDI USB-TTL and AVR-ISP programming header locations are provided on the circuit board. The circuit board also features alternate mounting hole locations-- in case you're building a different case, and a location for a 5 V regulator. An extended introduction to the project and its design is available here. The schematic diagrams and source code are posted and available for download on the documentation site. 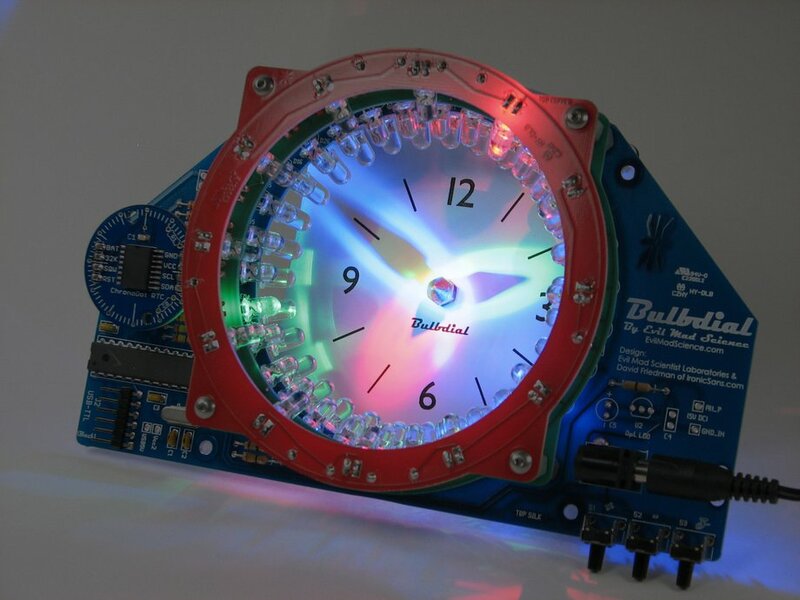 The Bulbdial clock kit includes a universal-input power supply that will work with worldwide voltages. The plug is a power-strip-friendly US type, so you may need an inexpensive "grocery store" plug adapter to fit the wall socket in your country. 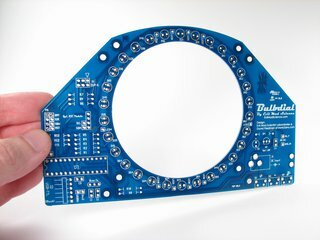 Bulbdial kit circuit boards, components, LEDs and power supplies are all RoHS compliant (lead free). If you're building one of our kits, you'll find that everything works well with either regular or lead-free solder-- whichever you care to use.